Hello! And welcome back to the Swifts! 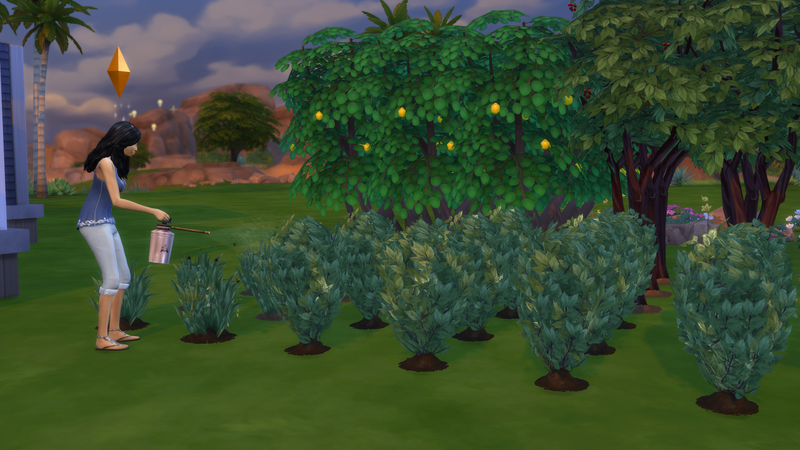 Last time we planted our cowplant, finished the fishing aspiration, and also “finished” the house! I say “finished” because we met the required house value, but I’m sure I’ll end up adding stuff to the house before we finish up. 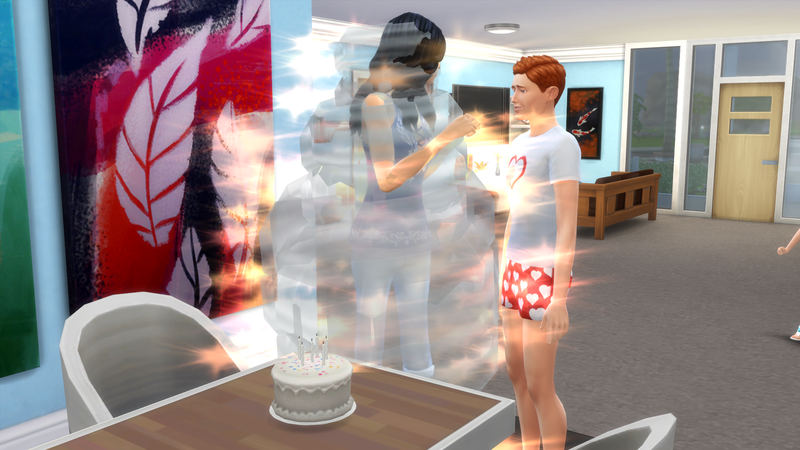 And, if you remember, I promised you some birthdays! So lets get started with those! 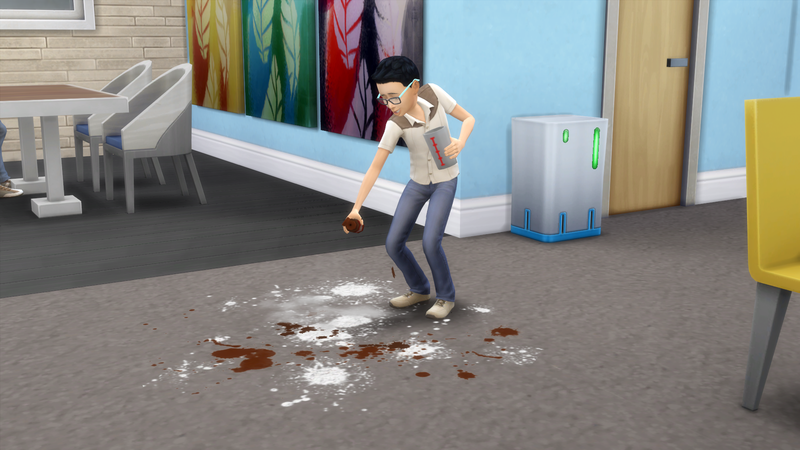 Then it was Lucas’ turn! 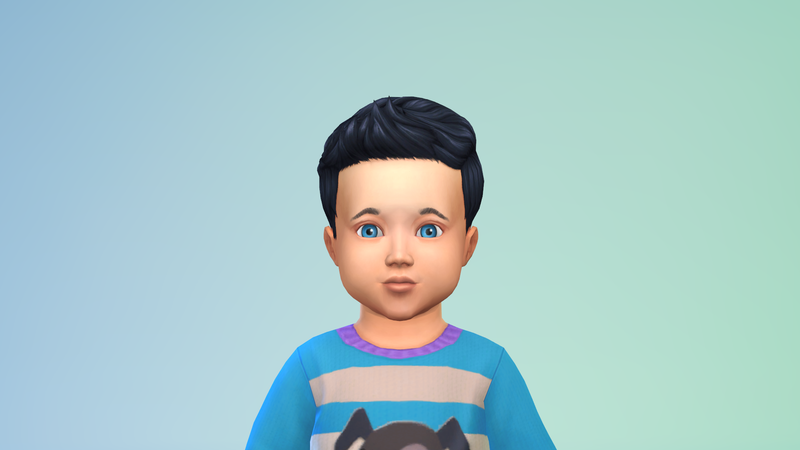 Here’s hoping that he’s less of a troublemaker as a kid! And here they are! 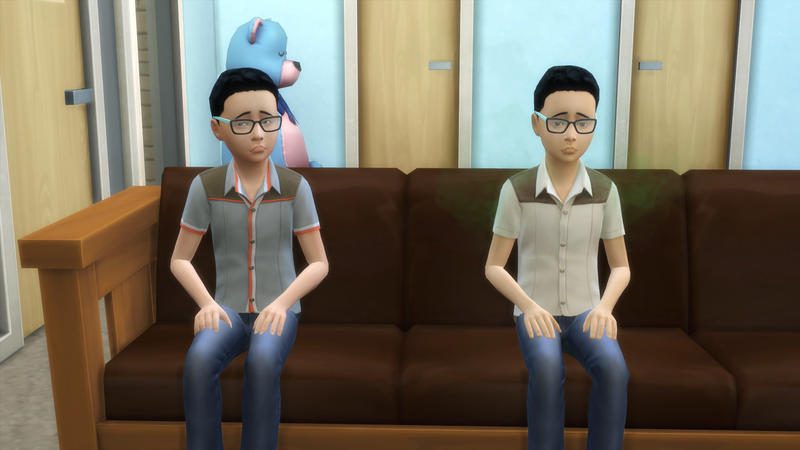 That’s Aiden on the left and Lucas on the right. 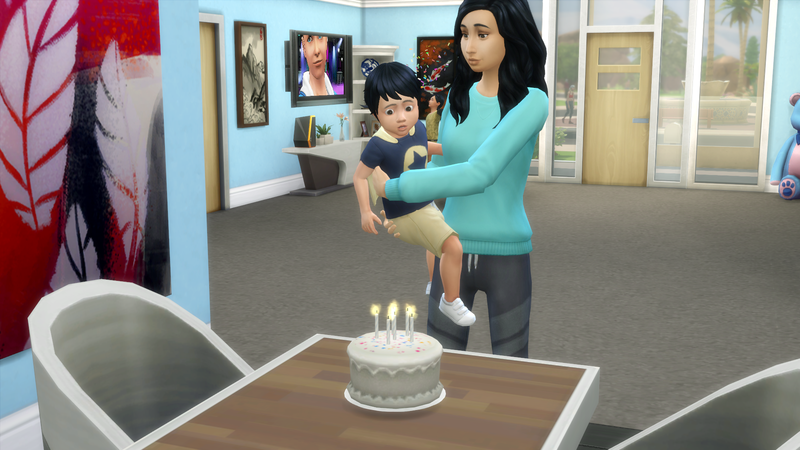 And, like most of my sims lately, they aged up miserable. Wonderful. 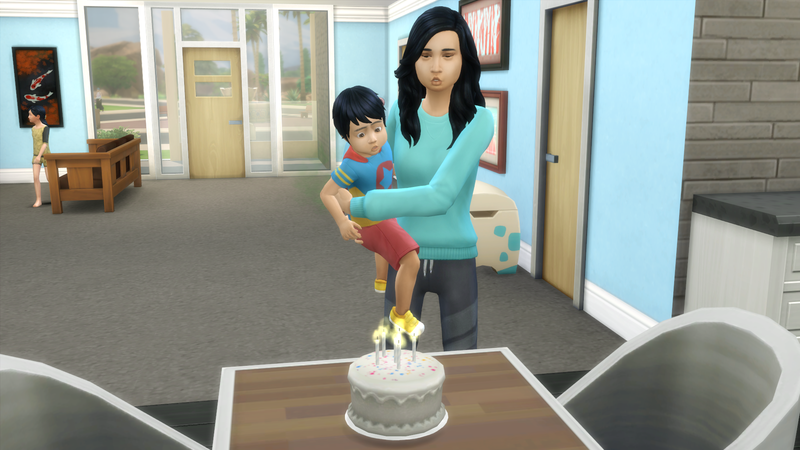 And then it was Kellen’s turn! Look guys! 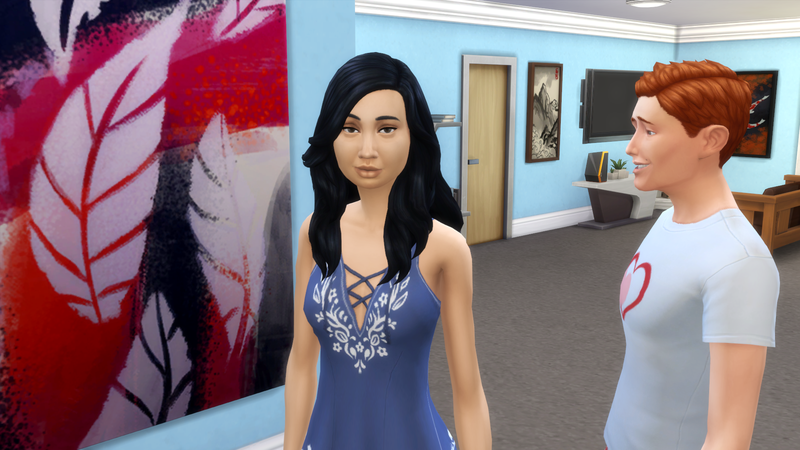 Olivia came over to visit! She even helped us garden for a while! And we’re still popular with the damn vampires. But at least none of them have bitten anyone in the family, so I guess that’s okay. Kellen is still so in love ❤ Remember how much trouble we had finding a man? Me too. 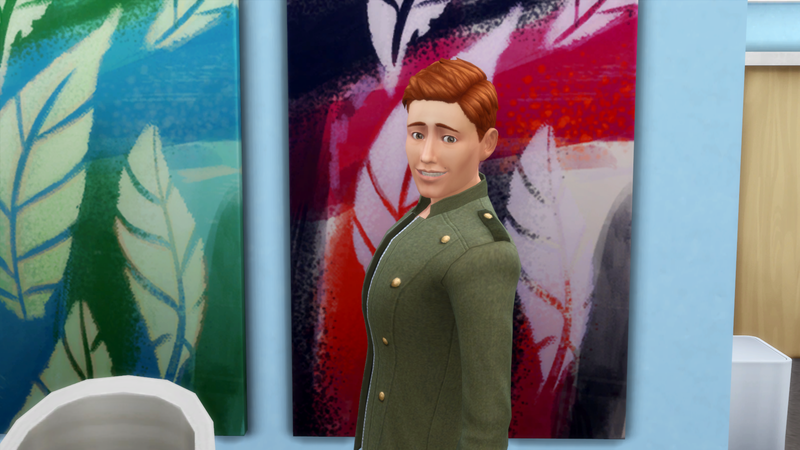 I’m glad we found Kellen though! He’s been a great spouse! 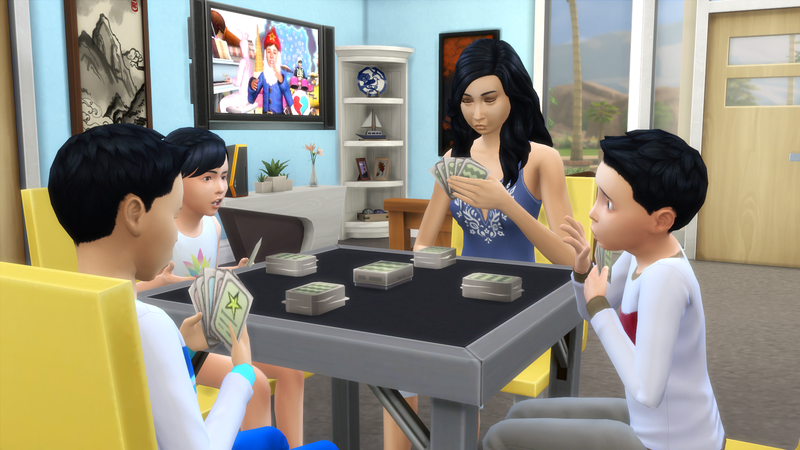 We had this big empty space in the middle of our living room, so I bought a card table to fill in the space. The kids love it! 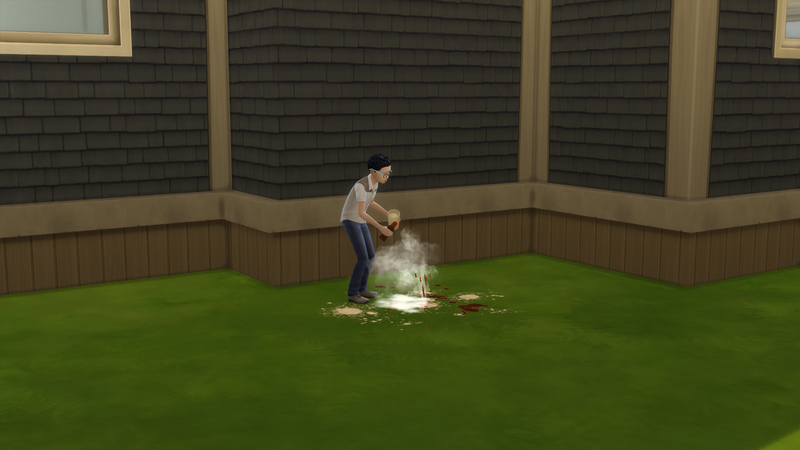 I watched Lucas sneak out of the house and I wondered what he was doing, and then I caught him doing this. Damn you! 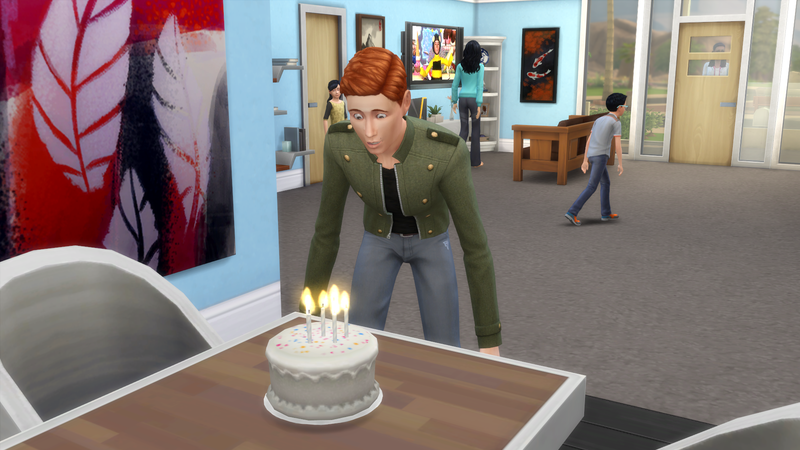 Our cowplant had a birthday! And he was christened Mr. Jingles! Welcome to the family Mr. Jingles! And since I don’t need anyone playing fire so to speak, he was promptly fenced in with the gate locked. 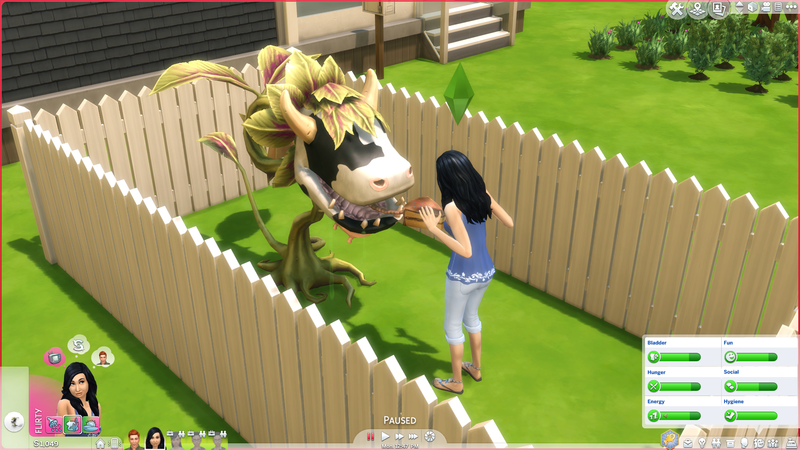 And then came time for our first ever play date with a cowplant! But we were able to get our first essence! *le sigh* This kid is obnoxious. It’s never-ending! Kellen’s turn! His face is the most priceless thing I’ve ever seen! 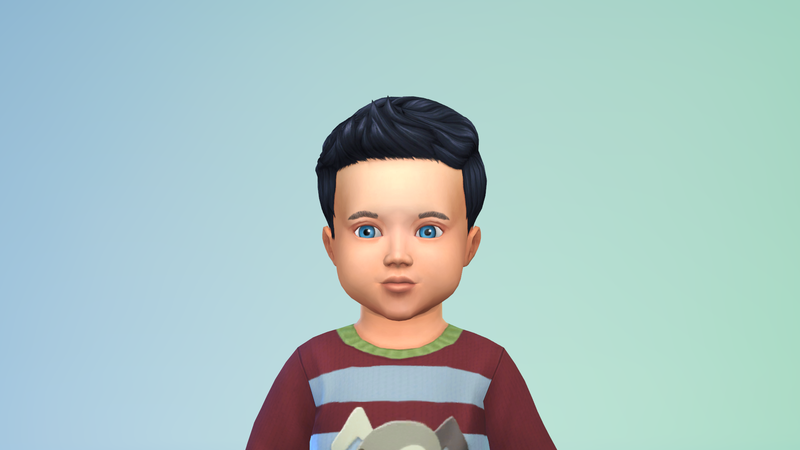 Avery Capris, the older of the twins born to Dylan and Olivia. 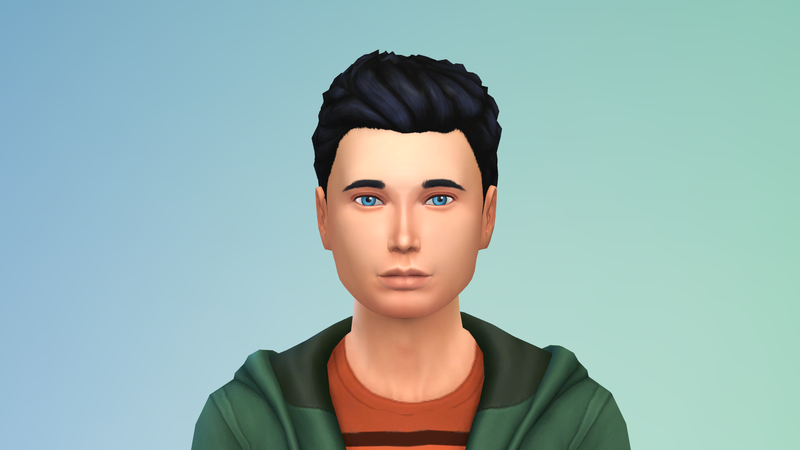 And his younger twin Hunter Capris! 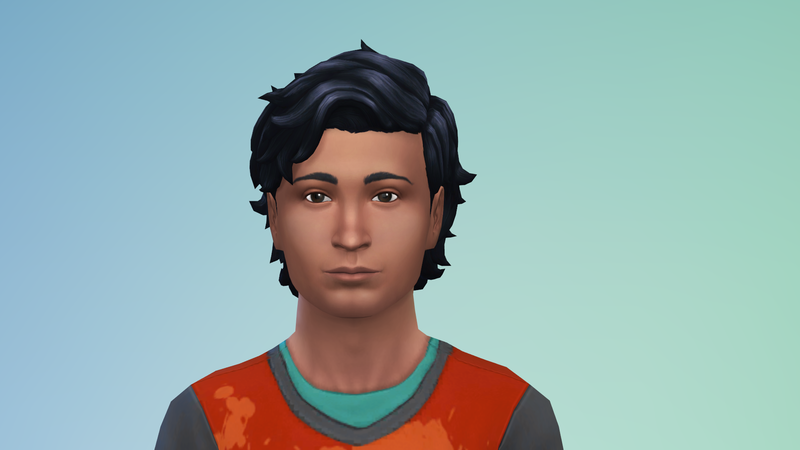 And here’s Collin Mansouri, Dempsey and Hakim’s son. You are doing great so far! 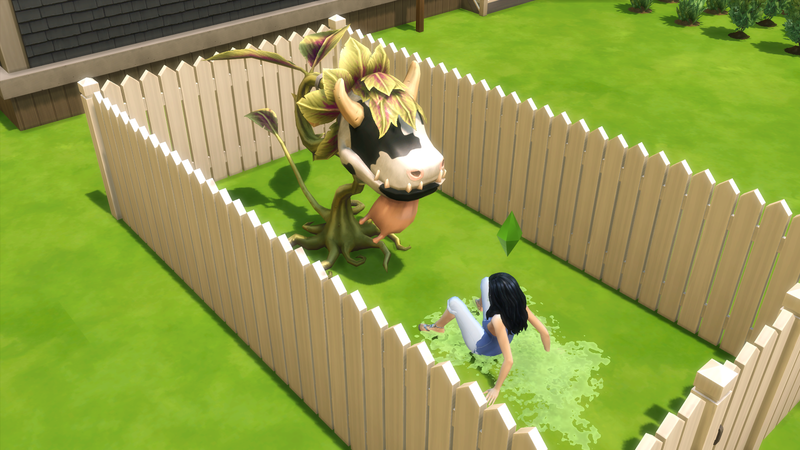 Good luck with the cowplant! 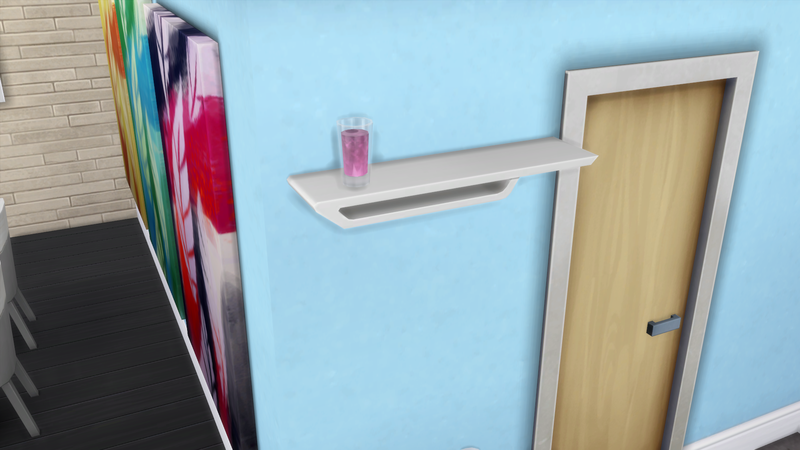 So smart to put a fench around him. 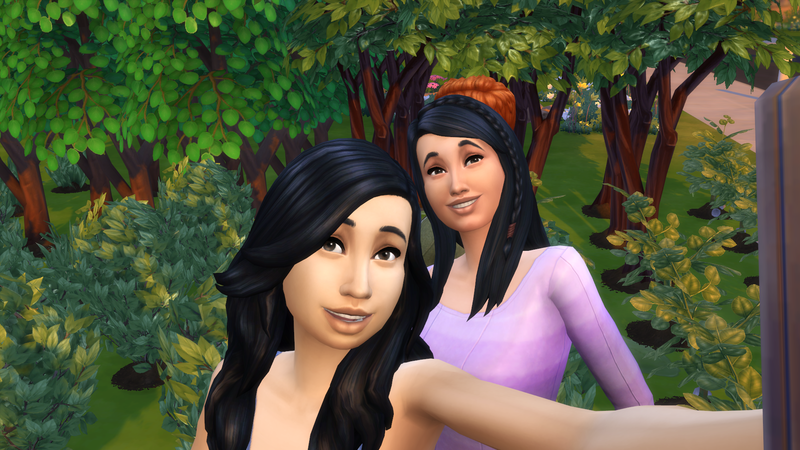 I like that you added pictures of extended family! 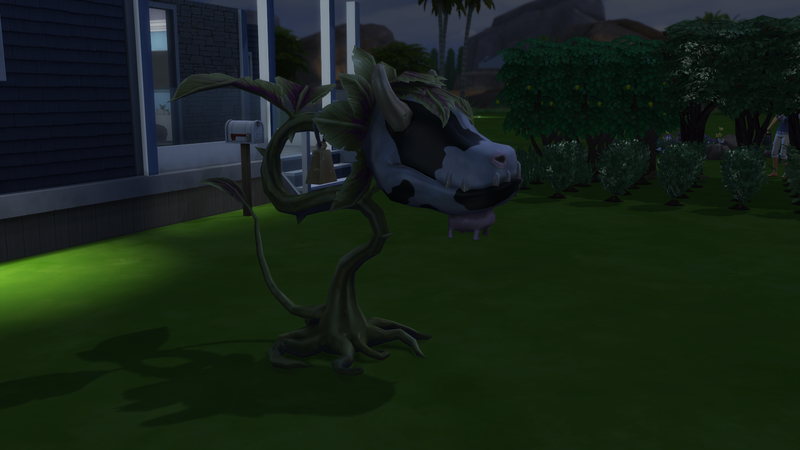 That cowplant got me nervous while doing this house. I couldn’t wait to get rid of it. 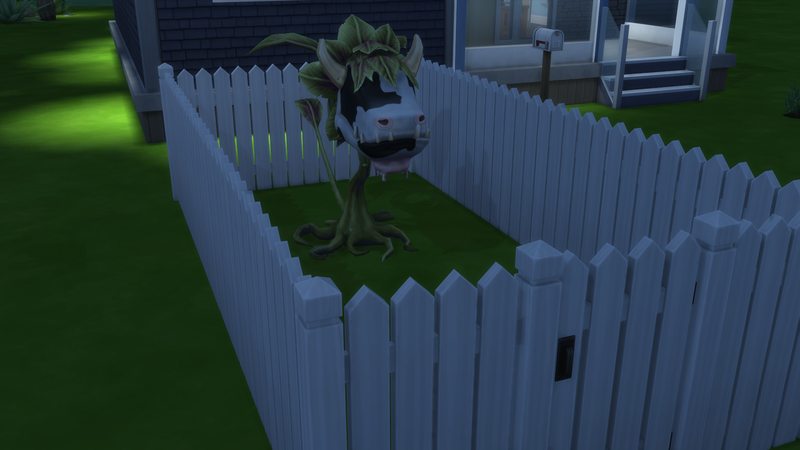 Oh man, so smart with the locked fence around the cowplant! 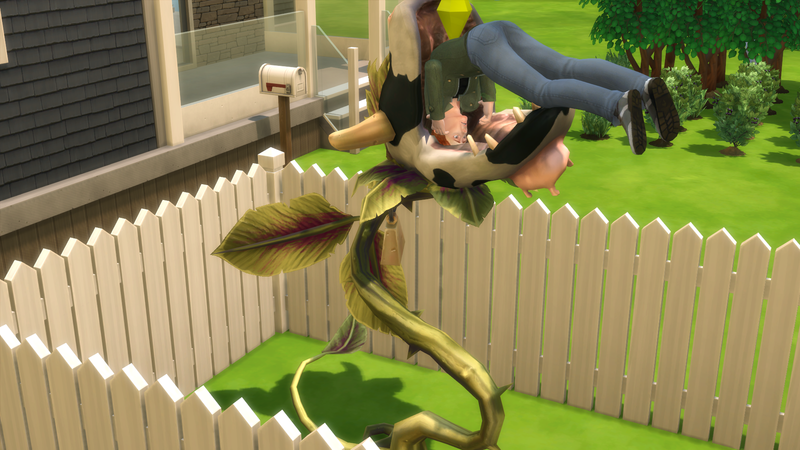 Although it’s kinda fun when it eats townies. 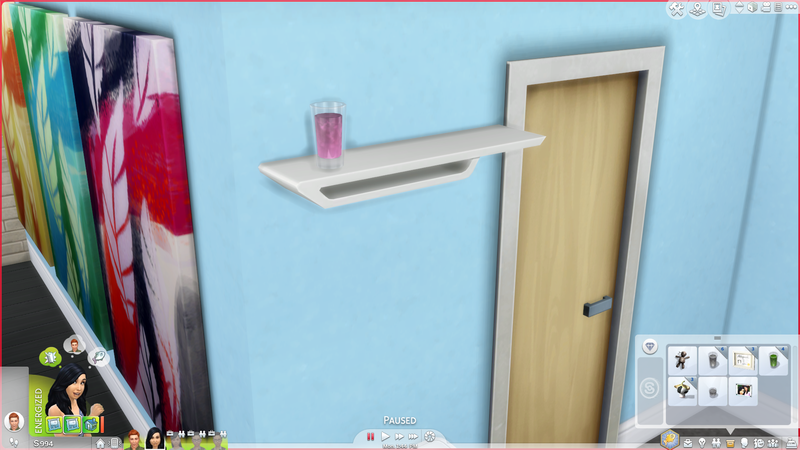 I’ve only had one and it died somehow, I thought I was taking good care of it!